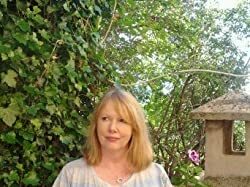 I am the award winning author of Irish novel, Forget Me Not, an atmospheric romantic drama. My second novel, The Art of Murder, a classic thriller set in Paris has recently been published. I live on a boat and the sights, sounds & salty tang of the sea give me inspiration to write. My primary aim is to provide readers with quality fiction which enages the reader, drawing them into the story. A sense of place is important and I spent time in Paris, researching The Art of Murder. Please enter your email address and click the Follow button to follow Carol McKee Jones!